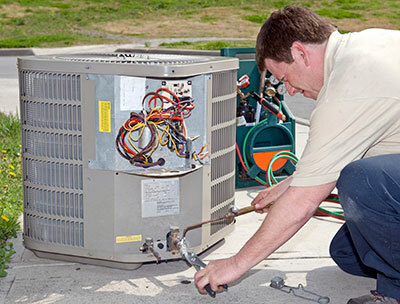 Boerne Air Conditioning Experts is the industry leader in heater repair in Bandera, TX and the nearby communities. When it comes to cool weather, we understand that many people enjoy the cool, crisp air of fall and relish in pulling all those sweaters and jackets out of storage. But with those warm layers, homeowners are often tempted to maximize their energy savings in early fall when it’s too cool for air-conditioning but not cold enough to require the furnace. If you’re waiting until the last minute to turn the heater on, it’s still important to test your system as early as possible. Things can go wrong even while your furnace is on summer vacation, and you don’t want to wait until the first really cold day to find out. Before turning on your furnace for the first time in months, it’s a good idea to check the area of your furnace unit for any flammable materials. Sometimes these things get left behind during the summer months when the furnace is cool, and they could present a fire hazard during the cold, dry winter. Next, open a few windows throughout your home, because the first cycle is liable to spread a somewhat foul odor. This is usually harmless; however, dust and lint settle on furnace heating elements all summer long, and when the furnace finally gets fired up, those particles burn quickly. The result is usually a burning smell that clears after a few minutes. After the furnace kicks on, let it run for at least ten minutes. You’ll want to make sure any initial burning smell goes away—if not, there may be a problem with your furnace and you should shut it down immediately before calling one of our trained technicians to come take look. You should also listen carefully for any new or troubling sounds coming from your furnace, as these are also common signs of trouble. When testing your furnace at the beginning of cold weather season, it’s also the perfect time to conduct a little maintenance, starting with your HVAC filter. This should be changed regularly, usually every 30 days. If you’re not sure where your filter is located or what size to use, feel free to contact us at Boerne Air Conditioning Experts for additional assistance. 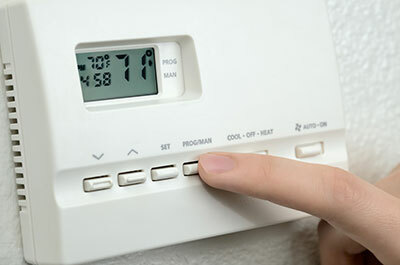 You should also test your thermostat to make sure it’s controlling your furnace and detecting temperatures accurately. Be sure to try the always-on fan setting to make sure it’s working, as well. If you have a programmable thermostat, this is a good time to update your heating schedule, if needed. Finally, test and replace the batteries in your smoke and carbon monoxide detectors. This goes hand-in-hand with furnace testing, because malfunctioning home heating equipment is a leading cause of both household fires and carbon monoxide poisoning. If any of these detectors have expired, replace them before home heating season gets into full swing. If you need any help at all testing your heater, or you have questions about the current conditioner of your heater, reach out to us at Boerne Air Conditioning Experts to schedule routine maintenance and a check up of your equipment.